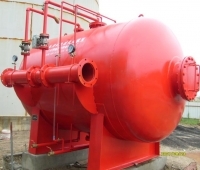 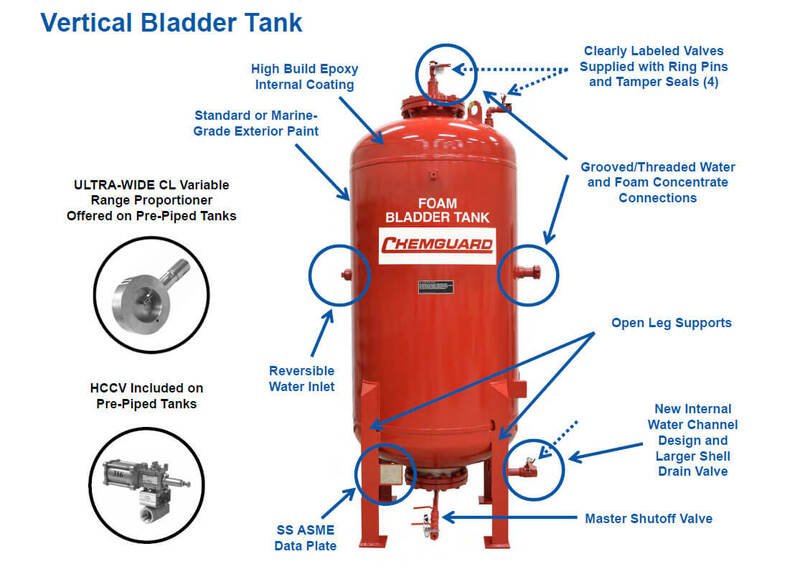 Bladder Tanks - SOS Safety International Inc.
Bladder Tanks are a component of a balanced pressure proportioning system that includes a pressure-rated tank with an internal elastomeric bladder for foam concentrate storage. 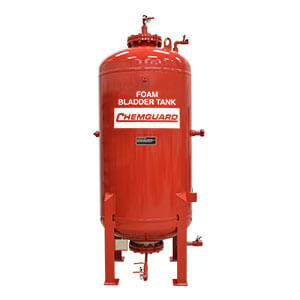 Bladder tanks have numerous applications, including truck loading racks, aircraft hangers, dip tanks, pump rooms and helipads. 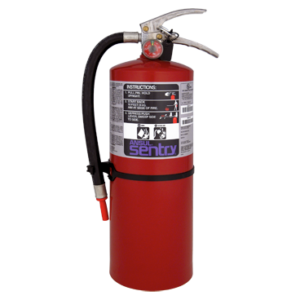 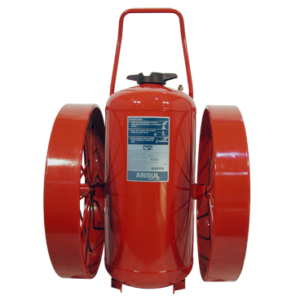 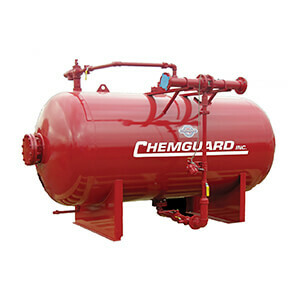 Because the tanks require no external power supply other than a pressurized water source, they are more economical compared to pump systems (for systems under 2,000 gallons). 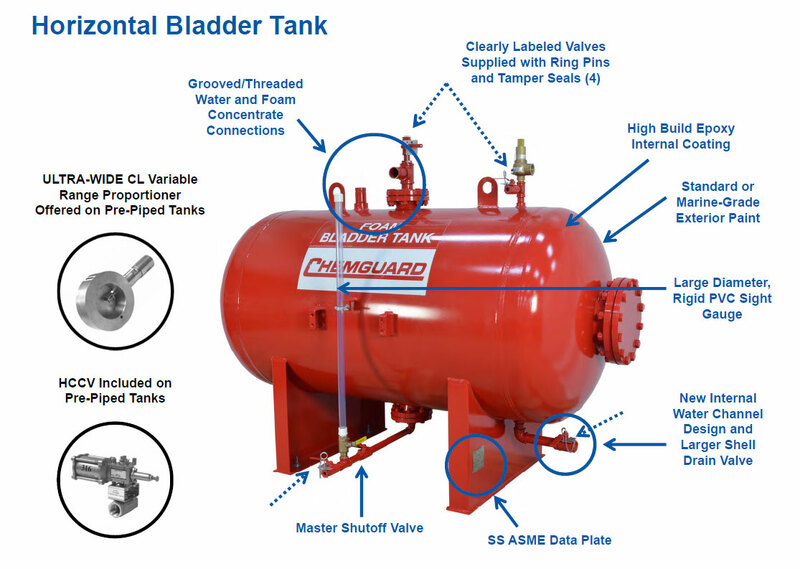 And bladder tanks, because of their simple design, require very little maintenance. 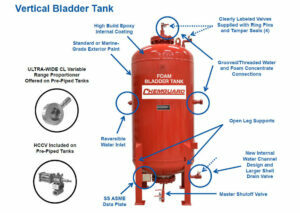 Bladder tanks are available in horizontal, vertical and pre-piped models.